The 10th of March, 2014 was a big day for me. That was the day I left home, knowing that I will be embarking the longest journey I have ever done. 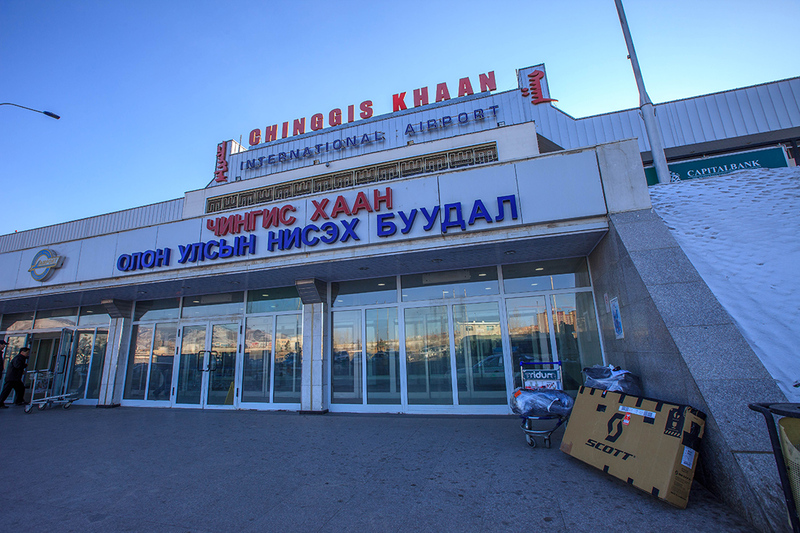 I flew to Ulaanbaatar, the capital of Mongolia, coming all the way from Kuala Lumpur, Malaysia and had a 6 hours of transit in Incheon Airport near Seoul, South Korea. I was nervous… mixed with excited feelings. I was feeling so nervous, maybe because I was too busy with some other things and had no time to do any sort of planning. 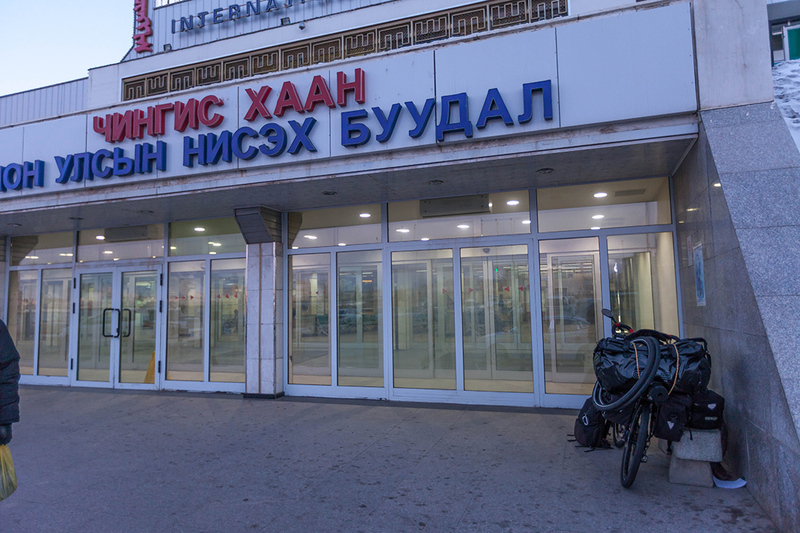 I had no idea what to do once I reach Ulaanbaatar, where to go… what to do… This is my third journey and I should feel calm but somehow… I guess the other reason was because I knew that this is going to be the longest journey among all… and surely much more challenging compared to the last two. 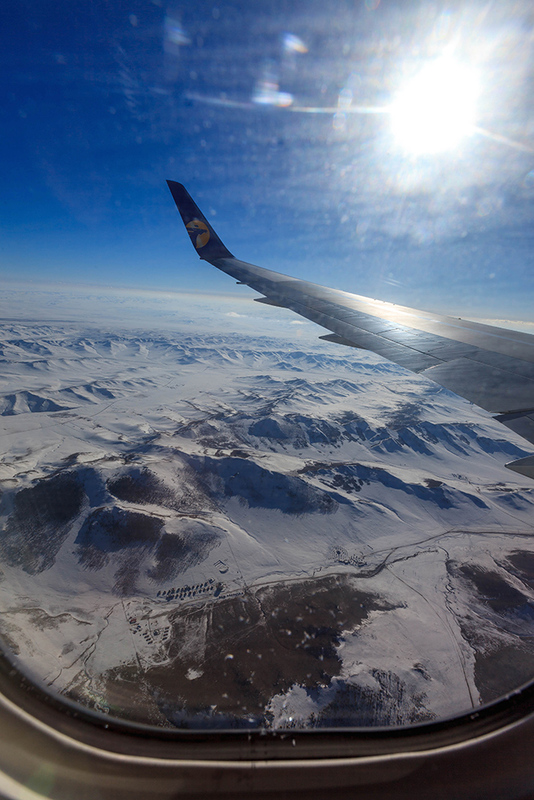 The last hour of the flight, I became totally speechless once I realised I was flying over the vast Gobi Desert. I was totally amazed once I saw the desert from above, excited because I finally see it with my own two eyes… all these while I was only watching it from TV and also the internet. At the same time, my heart was beating fast, it looks so wild and desolated, must be really hell to cross this huge desert on a bicycle unsupported. I then studied the desert closely from the plane window… looking for any source of water… rivers, lakes, or perhaps some small nomadic settlements… anything. But I found nothing… The good thing is, its still winter here in this part of the world. It is still very cold, and the desert is covered with thin ice. So at least I still won’t be running out of water if worst case happen. just arrived. Ready to unpack everything! Once I finished assemble my bike and put all my stuff on the bike, it was already dark and very cold. 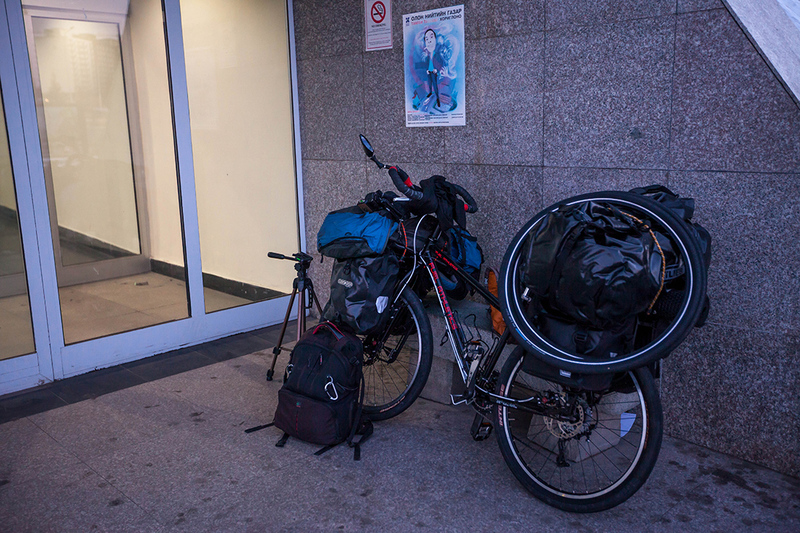 I was too tired, since I couldn’t really sleep during the flight, so I canceled my plan to cycle to Ulaanbaatar. The locals been telling me theres a hotel nearby, only a kilometre away from the airport. So i decided to just go and stay overnight at the hotel, since I was too tired. The next morning I took my time, repacking all my stuffs inside my bag, making sure the weight is balance both sides. 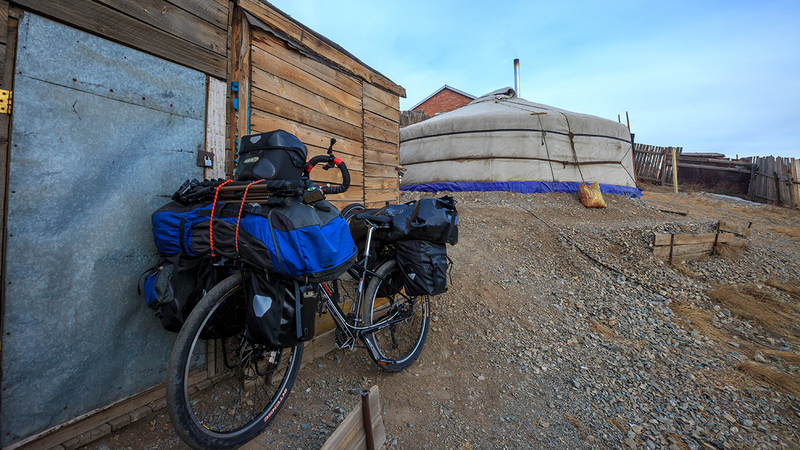 I then started cycling at around 10ish to Ulaanbaatar, which is only some 15km away. Cycling inside a city is always hell… and I never like it. So many cars and I had to stop twice asking for direction to get to the centre of the city, since Im navigating without any GPS or whatsoever. 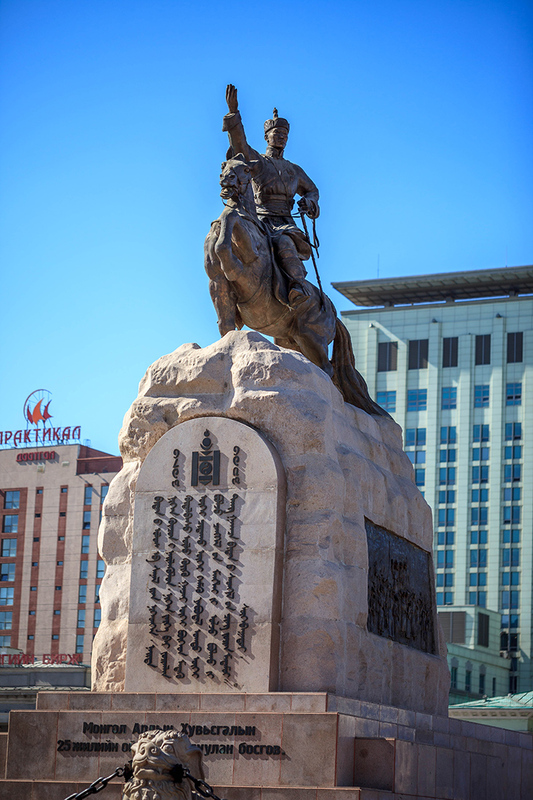 Once I reached the centre of Ulaanbaatar, I became the centre of attraction. I was surrounded by kids and old people, trying to communicate with me but too bad I don’t speak a word of Mongol. 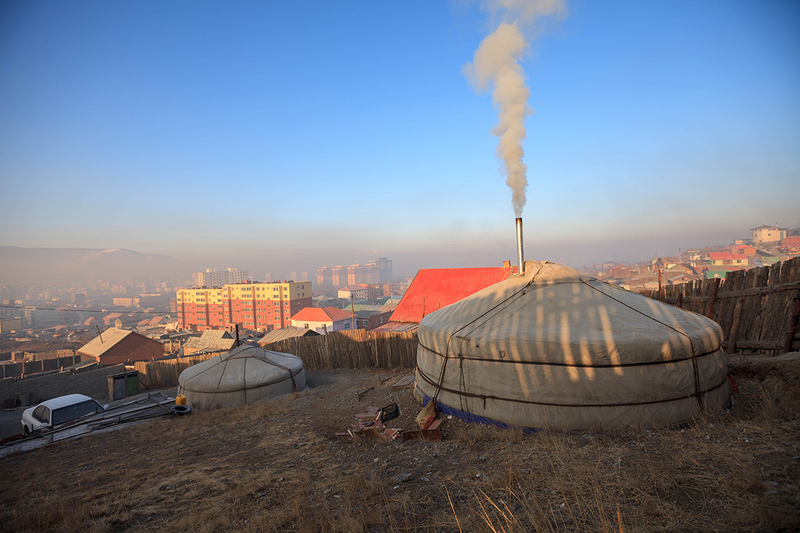 And it was there I met my first Mongolian friend, Chimedee who live in a ger (Mongolian tent) not so far from the city. Wishing you a safe & adventurous journey. I’m so envious right now..but hey, all the best of luck! looking forward to your upcoming post! Salam kasih sesama islam…dr umi. rasa mcm keluar sekejap dari masalah hidup di dunia. Semoga adik Zahariz selamat Dan berjaya dlm pengembaraan yg baru ini . Dan jgn sekali2 meninggalkan solat walau dimanapun berada.semoga Allah permudahkn perjalanan ini. Amin!3. Good luck and have a safe journey bro! Keep posting! I demand for more pictures. Thank you! have a nice journey. Good luck. God is always with u.